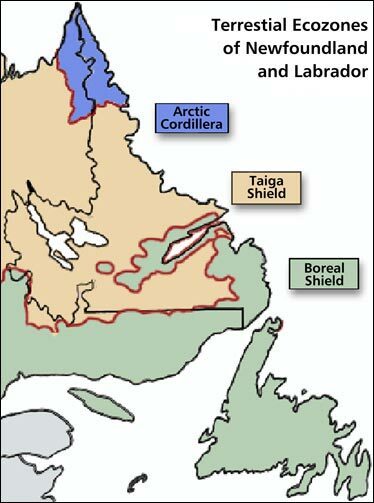 Terrestrial Ecozones of Newfoundland and Labrador. Map by Tina Riche. ©2002, Newfoundland and Labrador Heritage Web Site Project.